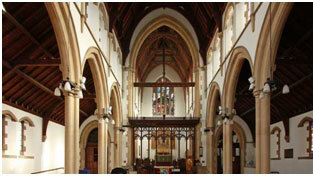 Kenwood’s have just completed works on a beautifully historic church in Kensal Green, North West London. The Church was founded in 1899 as a memorial to the Cleric Dean Vaughan who made his name as Headmaster of Harrow School and was appointed Master of the Temple in the City of London. The Church underwent refurbishment of the interior in 2009 but Kenwood’s were called in following problems with rising damp and lateral water penetration. Treatment was required to several walls within the ground floor. This treatment included Kenwood’s installing a chemical damp proof course and applying a tanking system to prevent moisture ingress. 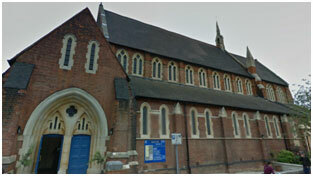 Now our works are complete the church can continue to serve the people of Kensal Green for the next century.